NetFlix has three Stephen King movies streaming this month. If you’ve never seen one of his classics or want to re-watch, here is the essential listing to get you through the month. Children of the Corn (1984): Based on his short story, a religious cult of children hold a couple hostage. With a reported production budget of 800,000, the movie generated over $14.5 million in its initial run and spawned several sequels and made-for-TV-movies. Rated R and running 1 hour and 32 minutes. Cujo (1983): A lovable family pet contracts rabies and turns against the people living in a small American town. This is based on King’s full-length novel of the same name. This movie had a larger budget of $5 million and earned over $21 million in its first run. Rated R and running 1 hour and 33 minutes. The Shining (1980): Jack Torrance (played by Jack Nicholson) takes his wife and foster son, Danny, to Estes Park, Colorado to be the winter caretakers at The Overlook Hotel. Stanley Kubrick penned the screenplay, based on King’s novel, and directed the $19 million dollar production. Although opening weekend was weak, it earned over $44 million in the United States alone. Rated R; running a long 2 hours and 26 minutes. There’s nothing like snuggling up to one of the horror master’s classics during the cold January nights. Winning design for the hedge maze at the Stanley Hotel. The Stanley Hotel gets a hedge maze. New York architect Mairim Dallaryan Standing’s hedge maze design was selected over 300+ entries. 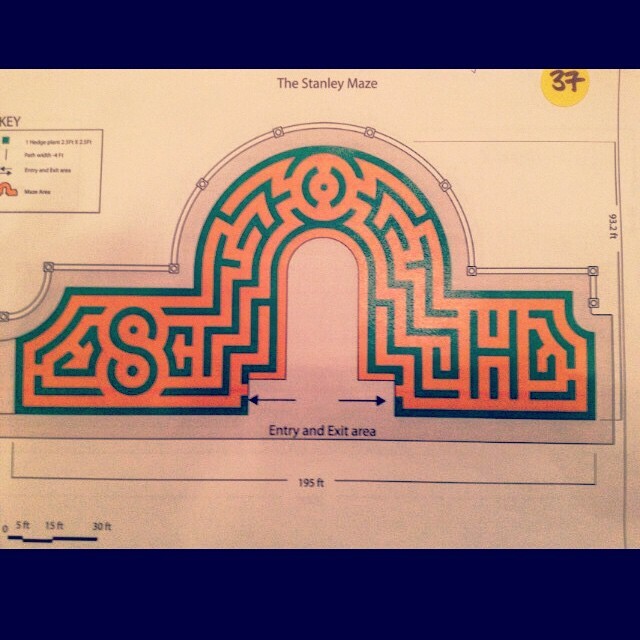 The hedge maze will be installed this spring to coincide with the annual Stanley Film Festival, April 30-May 3. A hedge maze was a prominent feature in the 1980 movie The Shining. However, one never existed at the Stanley Hotel, inspiration for the fictional Overlook Hotel. Tourists repeatedly inquired on the location of the fictional hedge. After 20 years of requests, the Grand Heritage Hotel Group announced the contest last November. Entries totaled 329 from 40 states and 32 countries. A 7-member panel selected the winner last week. The contest was a huge hit! Standing wins 2 airline tickets, accommodations, and 2 all-access passes for the film festival. Book your tickets and experience the thrill of a large-scale maze. In celebration of 20 years of ownership of the Stanley Hotel, Stephen King’s inspiration for his spine chilling novel The Shining, the Grand Heritage Hotel Group held a contest: design a hedge maze. Tomorrow at 5:30 MST the winner will be announced. 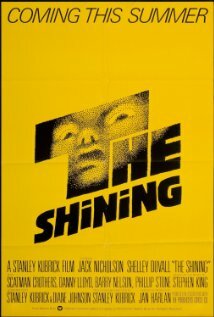 A hedge maze was a key feature in The Shining (1980) movie directed by Stanley Kubrick. However, a hedge maze did not exist at the hotel. The movie was not filmed at the hotel but instead in England. Hedge mazes are incredibly popular. This maze will be constructed with 1,600-2,000 Alpine Currant bushes. It will be installed on the front lawn and will remain a permanent fixture on the grounds. The contest generated nearly 400 entries from 40 odd countries. Originally set to unveil the winner today, the panel had to postpone the vote due to inclement weather. Stay tuned for an announcement.